Too many people are wasting too much energy writing about the name for Microsoft’s new search engine—assuming there is going to be one, rather than made-over Windows Live Search. Kumo, Crapo, Frapo, Wacko—who cares? Microsoft could rebrand search Bill Gates, Steve Ballmer, Bozo the Clown or the Muffin Man. Right now, the name shouldn’t matter to anyone, nor will it make much difference against Google’s dominance. Microsoft must fundamentally change how search works. Microsoft isn’t going to win the search wars with Google. They’re over. Microsoft lost. Continued failure is inevitable as long as Microsoft plays by Google’s rules. Microsoft must set new rules, apply the David thinking I blogged about last week. To recap: In the classic Biblical account of David versus Goliath, the sheep herder changed the rules. He fought from his strengths, using tools familiar to him, rather than engaging Goliath by rules and accoutrements that favored the warrior. There is some hope Microsoft will apply David thinking, assuming Advertising Age is right as usual. 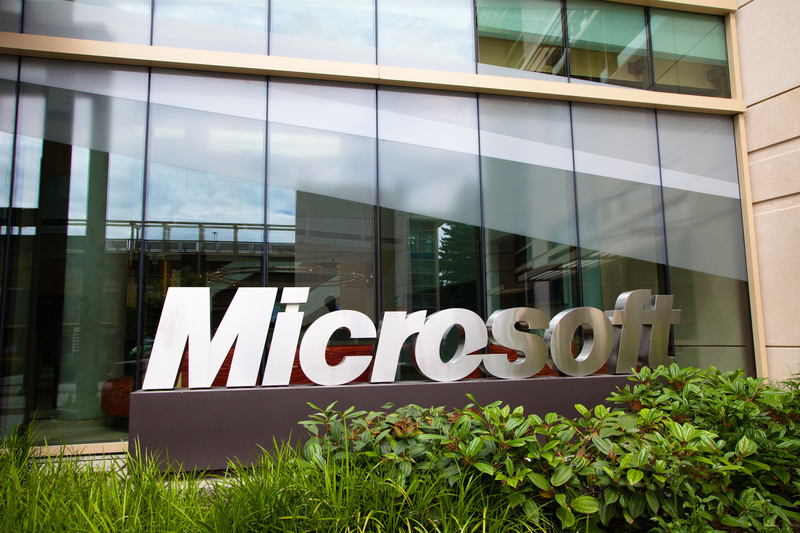 Yesterday, AdAge reported that Microsoft would spend “$80 million to $100 million” on a new search marketing campaign. Well, hot damn, it’s about time Microsoft put some more moolah selling search. Marketing matters. Plenty. There is evidence. In September 2007, when Ask.com heavily advertised on TV, its US share of searches increased 10.2 percent month on month, according to ComScore. The same month, all other major search engines declined, even Google. Ask.com’s brief search share surge lasted about as long as the TV ad campaign. Already, Microsoft is seeing benefits from its “Laptop Hunters” marketing campaign, in brand perception against Apple and real sales for Windows PCs. That should be lesson enough about the importance of marketing, particularly when establishing a new brand. Microsoft sang this tune before, many times promising to make search more like asking questions. The concept is right, and the approach is one Google will never take. It’s David thinking marketing that could be a whole lot better if Microsoft were to back it up with meaningful technology. In the battle between David and Goliath, the warrior brought forth the tools of his trade—the shield and sword. In an engagement fought by Goliath’s rules, these weapons surely would have defeated David. But by David’s rules, Goliath’s weapons made him weaker. He moved slower but with great confidence because of protections against similar combat gear. By contrast, David moved quickly and using a slingshot could stay outside Goliath’s reach. More importantly, David could strike where Goliath was vulnerable: His forehead. Google’s situation isn’t that far removed from Goliath’s. The search/informational company’s strength is its weakness: Keywords. Google’s core business is keyword search. Microsoft’s marketing pitch could be rule chaanging if the new search engine fundamentally changes the rules of search. Google can’t so easily give up keywords, because of how its search technology works and the massive economy built up around keywords. Microsoft has little to lose, given its search share has hovered around 8 percent in the United States, according to ComScore. Google’s share was over 64 percent in April and higher in some other countries. The name of Microsoft’s new search engine really is meanignless. The marketing campaign will build brand awareness. But there must be substance behind the marketing. Microsoft must engage Google by new rules that make search more meaningful by removing the keyword ball and chain. Keyword search is good for Google’s business model, not so good for making search truly usable. It’s time for Microsoft to think like David and change the rules. I do plan on being at the D7 Conference on Thursday when Microsoft CEO Steve Ballmer unveils the new name—assuming the announcement rumors are true. Will he be bold like David or bow before Goliath? What would search be without keywords? Many people have tried natural language search and it just does not work and takes more typing than just keywords. Even if you have natural language search, the adverts are sold based on keywords. Unless they pull something truly revolutionary out of their hat, this is going to be yet another rebranding / relaunch of their failed me-too product. Ballmer is really having trouble removing Google’s air supply. Why don’t they just force a Windows update which blocks Google? I recon it would be 1-2 years before the justice system caught up, but by then Google should be out of business. They could then charge people to appear in the natural rankings to cover the fine. They just don’t get it. Advertising might give them a bump short term, but it won’t help long term. Fancy natural language search might be a nice holy grail, but (as billybob said) keyword search is still where it’s at. Suggestion: Better search results. That’s how Google got to be dominant. I see lots of bogus links at the top of Google’s results, so there’s certainly room to improve, and if they do improve, the traffic will come. I don’t hear anyone talking about this at all. Let’s not become so enamored with features or marketing that we forget the basic quality of what we do provide. Attempting to categorize search results, similar to what Alta Vista tried years ago, would be terrific. Just don’t ignore the fact that (for intents and purposes) Alta Vista’s dead.